1940968 Visitors up to today! 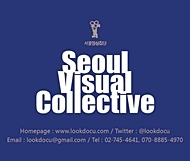 The professional documentary making group, whose history coincides with that of Korean independent film. 1982, the year of the foundation of the first independent filmmakers' organization, Seoul Film Collective, which is the predecessor of . Under the military regime, Seoul Film Collective was born with the aspirations for democracy(freedom of expression) and for new types of film. 1986, the name of the collective was changed to the present , in order that it should widen its activities in more comprehensive meaning. In 1990's, with the advent of civil government, the Collective tries to face new circumstances with more professional way and spirit. As one of the most qualitative and refreshed independent documentary makers, will continue to go its way.